← Did you receive a cold call from Sapphire Settlements? Did you receive a strange call from Alpha Accounting or Alfa Accounting? Very strange cold calls are received from a company who is using 2 different ways to spell their name. Some Consumers have been spelled out Alpha Accounting and others Alfa Accounting. The fact is though that we could not really find a company by either of these names dedicated to what they say they are. Alfa Accounting is telling consumers that they have been dealing with cases of dubious resale companies that have been raided by the police and the courts have seized money. The responsible have been taken in front of the judge and the seized money will be used to pay back all the victims. Alfa Accounting is supposedly in charge of contacting all those victims and arrange for the money to be paid back. For some really strange reason this money is blocked in a Chinese bank and in order to release this money some Chinese taxes have to be paid. This can be done in the name of a Chinese individual through Western Union. Alpha accounting is not keen on sending information by email and all of the explanations are given over the phone, the same as the payment details. The telephone number used is 0203 6958257 which indicates a London number but of course nowadays you can get any number on the internet, so it is very likely they are not in London at all. After paying to the Chinese bank, a Courier will be send around the house of the victim with a check payable in the amount of all the money they lost to other dubious companies. Please be aware that the above story is certainly not true and unfortunately those who paid any money by Western Union never got any cheque and were not able to recover the money they paid. 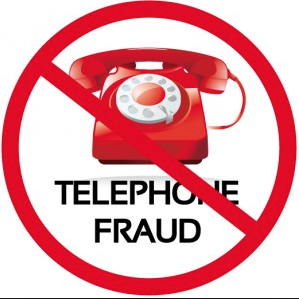 If you received a call from Alpha Accounting / Alfa Accounting from 02036958257 then please let us know. You might receive a call from a totally different company but if the story sounds similar to the above, be aware that is most probably is the same cheat! This entry was posted in Legal Services, Mediation services, Warnings and tagged Alfa Accounting, Alpha Accounting, Chinese bank. Bookmark the permalink. 1 Response to Did you receive a strange call from Alpha Accounting or Alfa Accounting? Alpha Accounting using mobile number 08432898244 also state that they are covered by a LLoyds of London insurance and ask you to phone a Western Union commercial Helpline on 02036958257 who will verify this, this department does not exist. Alpha Accounting are also contacting people who have been frauded via ukash payments and Reclaim certificates, they have all the financial details so probably they are the same people that carried out the initial fraud.